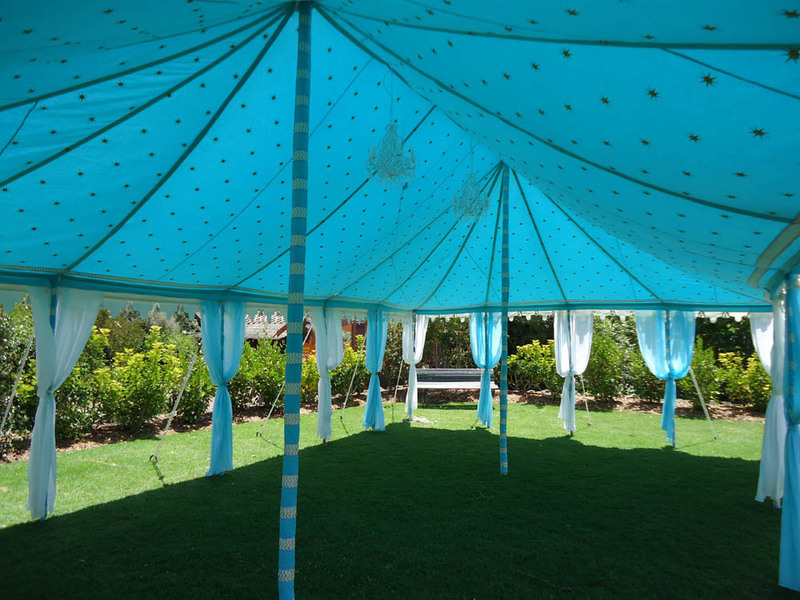 All our tents come with a vast array of lining options. Each lining is hand block printed to the highest detail, and finished with intricate embroidery and appliqué. The gallery shows a selection of the colours and styles available. Plain Cream is available across our range for an understated classic look, perfect for either the minimalist modern feel or just as a plain backdrop to compliment an alternative theme. 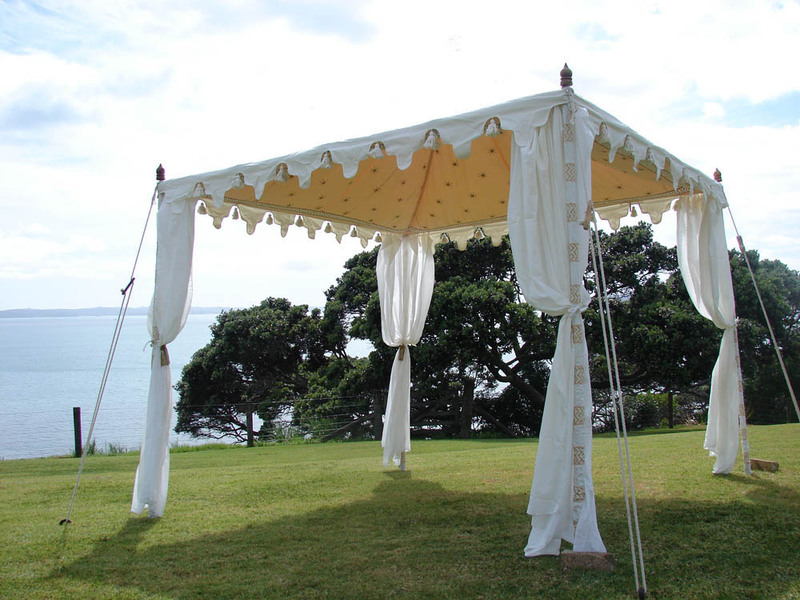 Wall linings are available in Cream or plum with Gold printed scalloping, tassels and sequins. 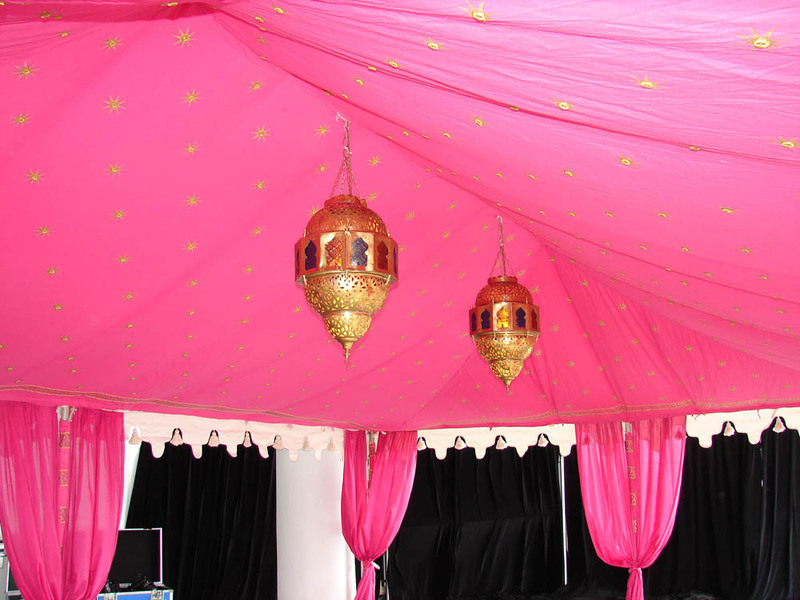 Orange & Magenta Moroccan Arch with Gold Sequins. Cream Jali print with Silver Sequins. Indigo with Gold Sequins. Open Moroccan Arch Panels and Clear PVC walls also available.